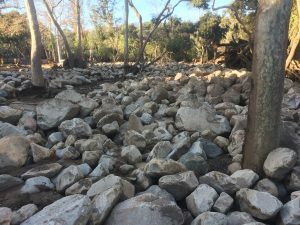 As Montecito slowly recovers from the mud and debris floods of January 9, residents and local leaders have been looking toward their future with more optimism than one might expect from a community still coping in the aftermath of widespread devastation. They’re starting to come together in public and private groups large and small to ask important questions. Here’s a big one: If we determine it’s prudent to rebuild damaged neighborhoods, how can we make these family homes more resilient and — while we’re at it — more energy-efficient? 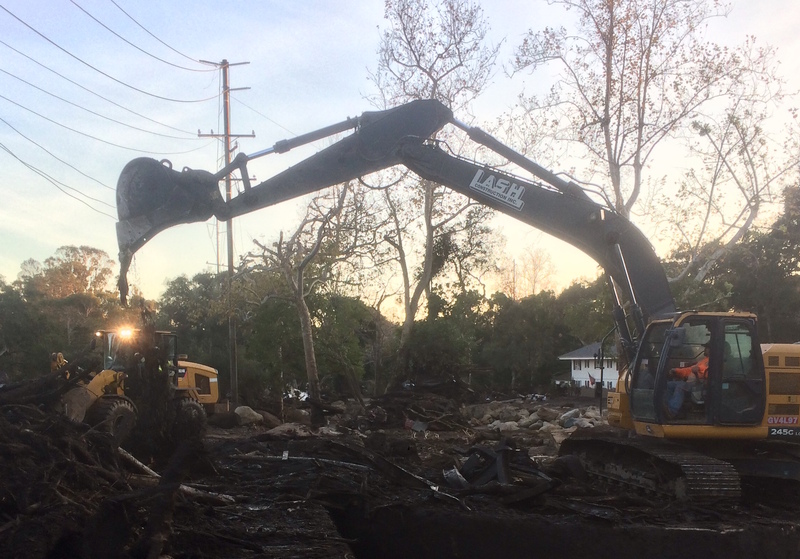 At Giffin & Crane, we’ve discovered part of the answer to that question while spearheading more than 20 cleanup efforts in Montecito. As of late February, government agencies had made 60,000 truck trips to clear out clogged debris basins in the foothill; they estimate there’s at least as much material on private property. With our clients we often ask: Does it all need to be moved? The answer is probably not. In some cases, rebuilding a home on top of five feet of readily available fill puts it on higher ground. Other homeowners are considering taking advantage of the hundreds of large boulders that the debris flow deposited on their properties (similar to the boulder field pictured below, along Montecito Creek). They like the look of this native stone as reinforced perimeter walls to protect their homes from future flooding. When it comes to building energy-efficient homes, Giffin & Crane has been ahead of the curve for years, seeking out and integrating the very latest in green building materials and technology — from spray-foam insulation to solar-heated swimming pools to smart-home systems that control temperature and lighting around the clock. Nearly 600 homes were impacted by the January 9 natural disaster — 241 were red-tagged (unsafe for occupancy) and 152 were yellow-tagged (limited access). As the community of Montecito rebuilds itself, it’s bound to proceed with the future in mind. That means looking forward creatively to design and construct the very best homes to create something even better than what was there before.